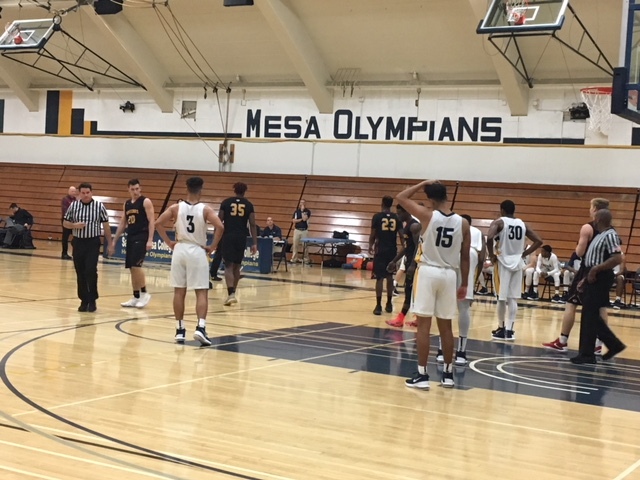 The Olympians men’s basketball team have now lost their last three games; 83-69, against fellow rivals Caynos College last month, 75-69 against Saddleback College, and got demolished Thursday night with a score of 112-72 versus Chaffey College. Against Saddleback, the Olympians won the tip off starting the game off strong. Standing at a tall 6’10, starting center Armstrong Ojunkwn scored the Olympians their first two points. Ojunkwn finished the game with 10 points and 2 blocks. Starting at guard for the Olympians is Perry Davis, #3, who scored three points, with a 4-6 free throw record. Leading the team in scoring this season is #15, shooting guard Joseph Davis who was 5-10 at the 3 pointer, having two steals and two blocks giving a great performance. With great energy coming off the bench, Morrie Neeley #4 came in the game hot with a 7-18 shooting record from the court and 3-5 from the 3-pointer, leading the Olympians with 18 points and three steals. The Olympians had a tough time stopping #21, JJ. 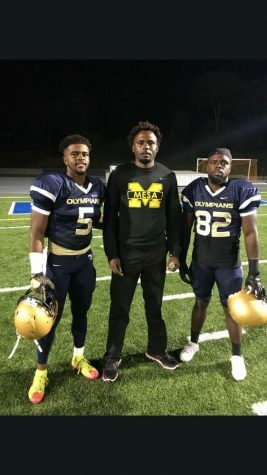 Overton and #35, Shawn Smith from Saddleback, both combining for 40 points leading their team to victory. It was a tough loss that lead the Olympians into overtime, ending the game with a score of 75-69. Coach Nichols said about the loss, “It wasn’t what we wanted but I’m proud how my guys didn’t give up and keep fighting even though there were a few calls that I didn’t agree with”.